I'm a Norbyah: Refinery 29, we need to talk. Refinery 29, we need to talk. Refinery 29, I've been a loyal reader for like, ever. My heart jumps when I get your emails, especially the ones with new hairstyles, beauty buys and trends. I really love when you publish things about pushing boundaries. Like how to wear teenage trends when you're not one. Hello, crop tops? They're a staple for me and I appreciate your support when I wear them. You wrote an article about how to make leggings look good, which I could relate to in some way because I know it takes help to make them look good. So I decided that we were made for each other when I shared my PSA about leggings, here. I could read between your lines and detect that we were of the same mind. Which is you know, leggings are not pants and all that. And, then you wrote this article about those must have leggings that sold out overnight, twice. And, at first I was upset about this. You caught me off guard, Refinery 29, especially when I saw this picture. But I excused it. I knew you had to reach your audience so I stuck with you anyhow. But I'm not sure how long I can keep making excuses because now I found this. Another post about "best selling" leggings, and I think you may have changed. Maybe we aren't so compatible after all because I thought you knew better about leggings. But then again, maybe it's not you, it's me. Perhaps I'm just a stick in the mud, unwilling to embrace your changes. I don't know. I guess we'll see. Until then, I suppose I'll read fewer of your "latest trends" articles and keep focusing on my other favorites. 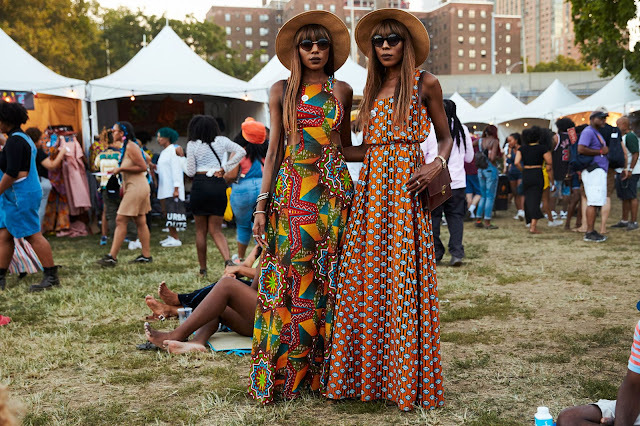 Like the articles about street style at various events and festivals like the Afro Punk Music Festival. I'm not ready to give up on you yet, Refinery 29. I finally got the chance to wear my new leggings on a run, and I was so incredibly impressed. Alo yoga pants literally do not move, it's like a second skin. They are very tight and they are not see-through, I am perfectly happy with how good they are.